A while back, Melanie @ meltotheany posted the Book Blogger Test tag … and I just thought it was SO COOL! In her comments, she officially tagged me … thank you love! 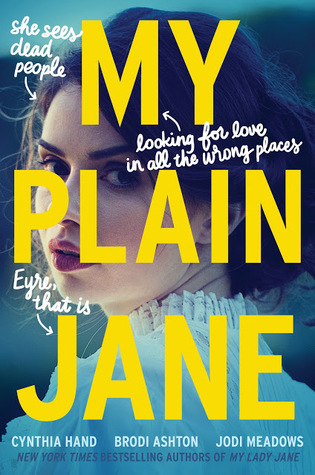 She’s an absolute doll and has an amazing book blog! If you haven’t seen her site yet, you definitely should! BRING IT ON, BOOK BLOGGER TEST TAG! All images are taken from Goodreads or GIPHY. If they are not, the link will be in the picture. Answer the questions asked on this post — don’t stress, it’s quick! Nominate and notify some peeps — the magical number is 5. One. What are your top 3 book pet peeves? Instalove … seriously peeps, ENOUGH WITH THE INSTALOVE! When a duology or trilogy becomes this larger series … WHY?! Two. Name a perfect reading spot. Perfect spot number one is deep in the woods on a hammock at a cute little cottage. 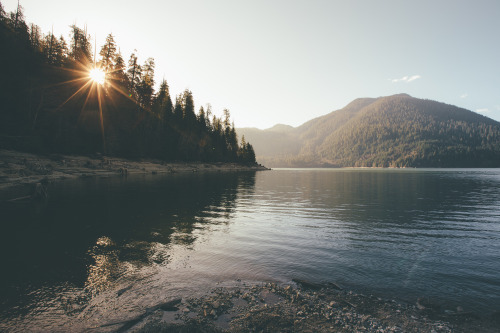 Perfect spot number two is at a cottage on a lake, where I can be close to both water and nature. I have this habit of reading the end of a chapter or end of a book, just to make sure it ends how I want it to end … I know, I know … the SHAME! Sometimes, I really can’t stand a book … but it’s the last in a series. When this happens, I’ll skim the book JUST to know the gist of it and to say I’ve completed it. I’ve had FULL ON FIGHTS in regards to books. What can I say? I’m a dedicated fan! Four. When was the last time you cried during a book? 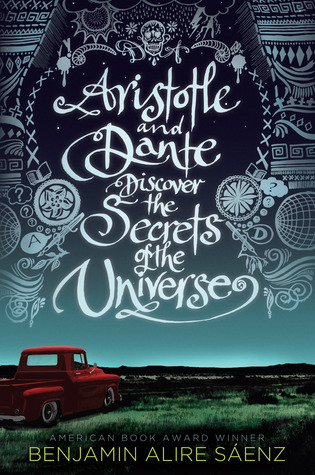 Aristotle and Dante Discover the Secrets of the Universe by Benjamin Alire Sáenz made me PREEEEEEETTYYYYYYYYYY emotional. I can’t say I sobbed or anything, but there were copious amounts of times during my read where the tears came. It’s a heart-wrenching novel, especially when you understand Ari’s feelings. Okay, so I don’t really have a bedside table. As of the moment, I use my bed ha-ha! 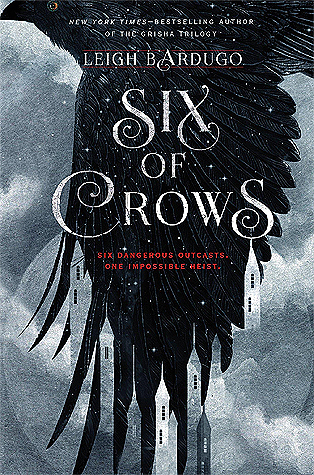 There are currently two books on my bed: Six of Crows by Leigh Bardugo and My Plain Jane by Cynthia Hand, Jodi Meadows and Brodi Ashton! I don’t really snack when I read … I’m too worried I’ll worry about messing up my book or something. I tend to drink coffee or tea though – hot chocolate with whip cream in the winter! Seven. What are 3 books you’d recommend to anyone? Sorry folks … I’m in the midst of moving, so I can’t take a glorious photo of my beautiful collection of books. But don’t you worry – I’ll post one on Instagram eventually! Nine. How much do books mean to you in 3 words? Hello! I’m starting to get really tired of insta-love because I really like the development of a relationship. Also, just wanted to share that I read the end of the book too and I always do that, just the last paragraph or line though. It’s because I like reading it without context and I like unravelling what it really means after. Anyways, great post! I know eh?! Like, what happened to all the fun stages between not knowing someone or not feeling that way to those cute little crushes to liking to loving?! The relationship always feels so much deeper and real. That’s basically what I do as well ha-ha! I usually read the last paragraph…it really depends on my mood. Ooooooo! I haven’t listened to an audiobook in forever but I’m highly considering it! I want to read but find I don’t have a lot of time. And I can’t in cars or the bus because I get motion sickness (not on trains though, thank gosh). So audiobooks might be a great solution! That GIF of Tom Hiddleston has me shook and attacked to the heavens. Also, thanks for the tag! This sounds like a lot of fun! Definitely relate to the reading spots and bookish pet peeves. Instalove gets on my damn nerves so much! LMFAO! I love him! I didn’t realize I knew him before Thor and Avengers because he looks so different to me with the dark hair. Then I recognized him ha-ha. But those films just made me love him (and villains) even more! You’re welcome! I hope you have fun with it! Ugh…the instalove! See, I always thought I hated romance…but that’s actually not the case I realized this year. It’s the instalove and unnecessary miscommunication drama and the love triangles I don’t like. I literally love him the most?? He’s one of the characters that made the MCU something that won me over in the first place! Question: did you watch Infinity War yet? I did … the feels! Of course! Take your time. I have TWO more tags to catch up on and then I’m finally caught up. I have enough for once a week until the end of September scheduled lmfao! I don’t even know how many I have. I’m sure I have enough to last me through the year and then some doing them once a week. Which is ok cause at least I have a post for every Thursday. I loved reading your answers. I also have when a trilogy becomes a longer series! It always seems like such a money grab. You’re perfect reading spots are so dreamy! Thank you! And it really does…which irks me even more. I also find that the story just ends up being less grand and epic when they do that. And I know eh? I’m a big dreamer, if you haven’t noticed ha-ha! I loved reading your answers! I too, love reading outdoors. A hammock in the woods by a cute little cottage sounds heavenly! Thank you! I have a new obsession with hammocks haha! They’re so cozy!!! Me too!!! Hopefully authors come to this realization on their own soon haha! And ya…I’ve tried to stop the habit…but it’s stuck haha! Yes! I completely get you! My curiosity always gets the best of me. I need to read that series that “A Course of Mist and Fury” is from. I’ve been told so many times that I would like it…but I just haven’t had the time! I need the commitment to read a large series again…it’s been a LONG time since I’ve read a series that large ha-ha! Great answers! The pet peeves one…totally agree. I hate it when authors add more books to this beautiful trilogy that has already ended *cough shatter me cough* And insta love kills me (well most of the time). I’ve also had pretty bad fights with people over books 😂 like don’t mess with my favorite books, series, or characters. Anyways, great answers. I had a lot of fun reading through them. Ugh…I know, eh? Just leave the series alone and move your ideas off to your next series! I can’t even recall a time I didn’t mind “instalove”…since it’s VERY rare. I just don’t see the point. Thank you very much! I’m glad you enjoyed the post! If you haven’t done the tag yet, you should! Ok let’s be honest. Insta love is just problematic and I can probably only think of one or two instances where it was ok. Not even good, but ok.
Anyways, you’re welcome! I look forward to seeing more of your posts!